Named for Giovanni Schiaparelli, the Italian astronomer who charted the first rudimentary maps of Mars in the 19th century, the landing probe is heading for a target in Meridiani Planum, an expansive plain near the Martian equator. Schiaparelli deployed from a pod on its carrier craft, an instrument-laden satellite heading into orbit around Mars, as scheduled at 1442 GMT (10:42 a.m. EDT) Sunday, and each spacecraft is heading off on separate missions. 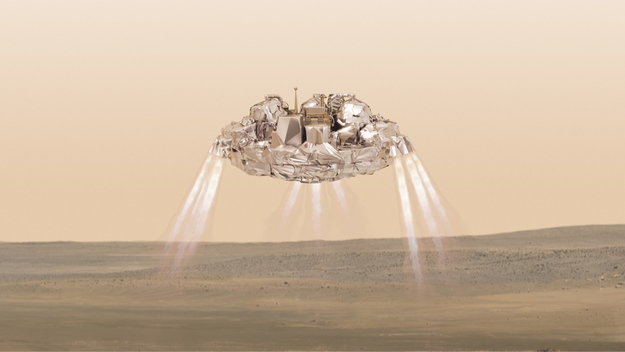 Both elements — built by Thales Alenia Space — are part of the European Space Agency’s ExoMars program in partnership with Russia, which was responsible for launching the mission. The next phase of the ExoMars mission will come in 2020 with the launch of a European-built rover on another Russian rocket. The ExoMars Trace Gas Orbiter has several purposes: measuring traces of methane in the Martian atmosphere, improving maps of the planet, and relaying signals between Earth and rovers on the surface. Ground controllers at the European Space Operations Center in Darmstadt, Germany, had to wait longer than expected to regain a full telemetry link from the orbiter mothership after the separation maneuver, but the problem apparently had no lasting effects. The orbiter fired its engine for about one minute, 46 seconds, overnight Sunday to shove the spacecraft off of a collision course with Mars. Navigators intentionally pointed the orbiter’s trajectory for Mars for the release of Schiaparelli, which is coasting toward the planet and unable to adjust its course. The overnight rocket firing put the Trace Gas Orbiter on track for a position several hundred miles above Mars for a critical make-or-break engine burn Wednesday to swing into orbit around the planet. At the same time Wednesday, the 7.9-foot-diameter (2.4-meter) Schiaparelli lander will dive into the atmosphere. Its computers will wake the spacecraft from hibernation shortly before entry. Schiaparelli an experimental testbed designed to prove Europe can successfully land a spacecraft on the Martian surface. 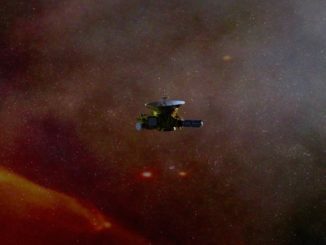 It carries a downward-facing camera to collect images during the descent, and a weather station on Schiaparelli will return data on the temperature, humidity, pressure and winds at the landing site. Another suite of sensors will monitor conditions during Schiaparelli’s six-minute plunge into the Martian atmosphere, gathering inputs that could help engineers design future Mars missions. 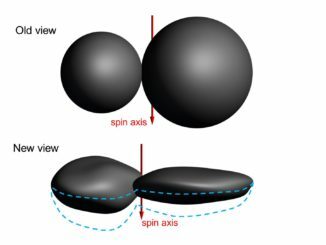 A heat shield, parachute and rocket thrusters will slow Schiaparelli’s descent, then the braking rockets will cut off at an altitude of 6 feet (2 meters), allowing the craft to fall to the ground on a crushable carbon fiber shell. Schiaparelli is a relatively simple spacecraft, and its battery should provide power for up to eight days of operations after landing. The probe is not able to recharge the battery. Mission control never heard from Beagle 2 after its landing attempt, but scientists last year revealed new imagery from Mars orbit apparently showing the lander sitting on the surface with its power-generating solar arrays still partially folded. Schiaparelli’s flight to Mars is Europe’s second try, with a much bigger package than Beagle 2. 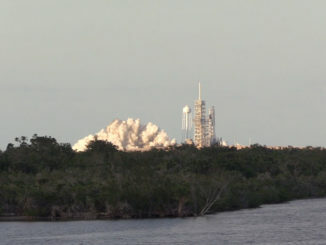 It goes to Mars with a doppler radar guidance system, modernized control algorithms and a computer that will be crucial to the 2020 mission’s rover landing. 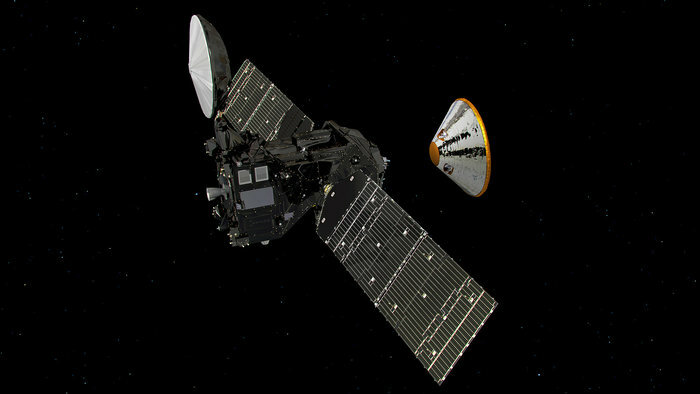 The ExoMars Trace Gas Orbiter will become the sixth operational spacecraft circling Mars, and the second European orbiter studying the red planet. It will join three other NASA orbiters and an Indian spacecraft flying around Mars.